With its pristine beaches, gourmet restaurants, world class entertainment and lush green hinterland, it’s no wonder the Gold Coast is one of Australia’s favourite playgrounds. Whatever the time of year, Australians and overseas visitors head to the Gold Coast for a break, be it a family vacation or a romantic weekend away. Offering both a sense of freedom and adventure, there’s something to suit every taste, and every budget on the Gold Coast. When it comes to destination, many people choose Broadbeach accommodation, because it’s so close to everything, yet so peaceful and private. What’s more, Broadbeach apartments can be amazingly good value, when you book online and land a hot deal. There are so many advantages in choosing an apartment – the main one being loads more space. With an entire one or two-bedroom apartment, you can unpack upon arrival and then just relax for the rest of your vacation. 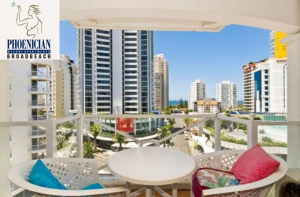 Broadbeach apartments are extra great if you are holidaying with children. With a fully equipped kitchen and private laundry facilities, you’ve got everything covered! 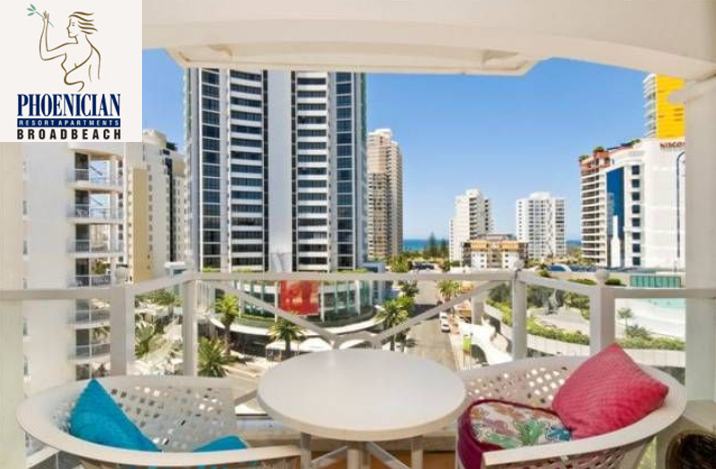 Broadbeach is a wonderful location, and has everything you could possibly need for a holiday. There’s a family-friendly patrolled beach, a newly refurbished dining strip, a beautiful park, and a whole host of activities to keep you busy. Alternatively, if you just wish to kick-back and relax, choose a resort within easy walking distance of the beach, and which has plenty of fabulous resort facilities, such as pools, spas and sauna. Some of these resorts are just amazing – one or two even have a second, indoor heated pool – just perfect for those who visit in the winter and still like warm water for their swim! The best idea is to choose a resort that is AAA 4-Star-Rated. That way you know the apartments and the facilities are of a certain standard. It’s like staying at a top hotel – but with a heap more room. Some of the deals you can get on Broadbeach accommodation are amazing – and they don’t just apply in the low season either. For example, one resort offers a huge 15% discount all year round, when you book a garden or courtyard apartment. Mind you, the off-season deals are amazing, especially if you can stay longer. If you book for a month or more, it’s probably cheaper than staying at home! The smart move is to check out what’s included. At the very least I expect my apartment to have Austar, entertainment, some sort of balcony, a fully equipped kitchen and a lounge area. And when I book a two-bedroom apartment, I expect two bathrooms. The resort should also have a great range of facilities, including a couple of pools, spa, sauna, barbecue areas, hopefully a gym, and maybe a games room, too, for the kids. Oh, and secure parking and maybe a tour desk. And I want all that with a hot deal on top! Is it possible? It certainly is, when you search online. Just imagine it, a lovely day on the beach and just a short walk back to your apartment. A long shower, a glass of wine on your private balcony, and then it’s off to dinner. Perfection.